BizReport : Research Library : Spredfast, Inc. Most big brands structure their social program around business goals, however, sometimes there is a disconnect between the goals and how they should be accomplished. 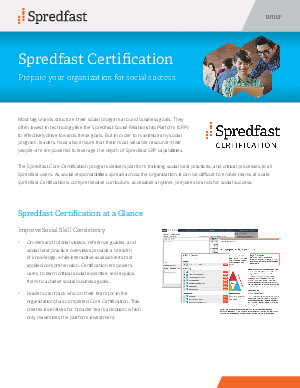 Download this whitepaper to see how to properly prepare your organization for social success and see how this can increase your businesses relevance in social spheres.